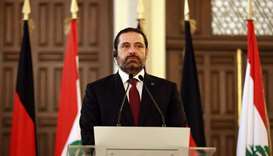 Lebanon's prime minister-designate, Saad Hariri, said Thursday he is ‘pretty sure’ that a six-month-old deadlock on forming a government will be broken by the end of the year. 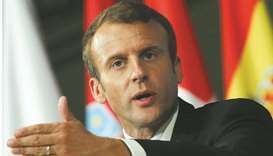 Emmanuel Macron said the decision should not "add to the instability of the region. I'm issuing a call for calm and responsibility by everyone which is essential for the efforts we are undertaking here." 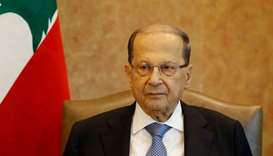 Walid Jumblatt also condemned Iranian "dictates", an apparent response to a statement by the commander of the Iranian Revolutionary Guards this week that disarming of the Hezbollah was out of the question. 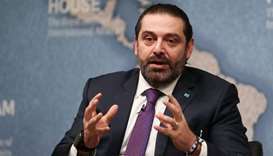 Hariri was referring to the crisis ignited by his decision to resign earlier this month. 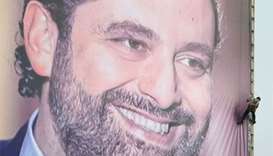 He announced the shock resignation from Saudi Arabia, which is locked in a tussle with Iran. 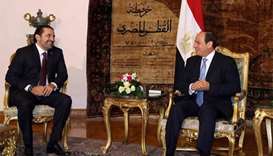 Hariri's visit to Cairo follows two weeks of deep uncertainty after he announced his resignation on November 4 in a speech from Saudi Arabia. 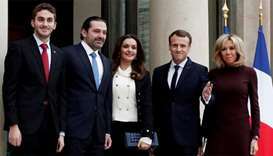 Hariri has since Saturday been in Paris, where he met French President Emmanuel Macron, and has said he will return to Lebanon by Wednesday for its Independence Day celebrations. 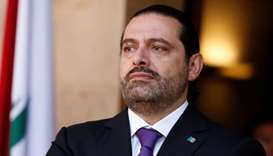 Saad al-Hariri, who resigned as Lebanon's prime minister this month while in Saudi Arabia, said on Saturday he would clarify his position when he returns to Beirut next week. Adel al-Jubeir said Saudi Arabia was consulting its allies about what leverage to use against Lebanese militant group Hezbollah to end its dominance in the small Mediterranean nation and intervention in other countries. 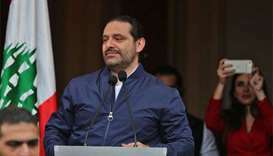 Lebanon's president on Wednesday accused Saudi Arabia of holding hostage prime minister Saad al-Hariri along with his family - the first time he has explicitly said he was being held - and called this an act of aggression.